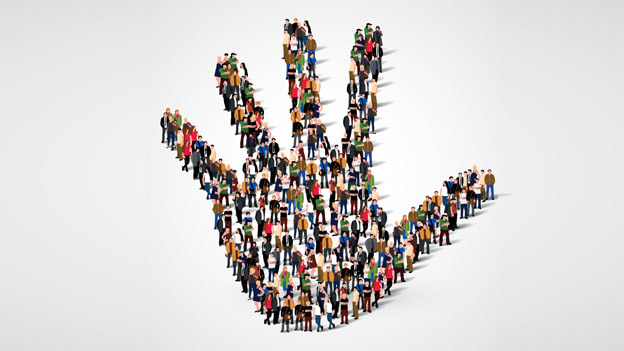 How can employee volunteering programs at a scale drive impact on productivity? Read on to know what experts feel. An overwhelming number of employees seek support from their organizations for their volunteering efforts and serving communities. However, according to a research, it was also found that one-third of employees don’t participate in employee volunteering programs as they are not able to choose the cause that matters to them. Also, there are times that employees aren't sure if spending time on volunteering activities might impact their performance on the job. Many a time, a scenario has been observed where employees are not sure if they will able to commit time to volunteering events. So how do you make sure your corporate social responsibility (CSR) and company purpose align with the wants of your employees? On Day-1 of People Matters TechHR 2018, Abhishek Humbad, Founder, Goodera along with Naveen Soni, Vice President, Toyota Kirloskar Motor Pvt. Ltd. and Vijay Sethi, CIO, Head HR & CSR, Hero MotoCorp shed some insights on how do you create a program that’s inclusive of employee wants. Employees will participate in volunteering opportunities only if they are emotionally invested in the volunteering cause. Offer them choices and let employees decide where they volunteer and which cause they support. By getting C-Suite deeply involved in your organization’s employee volunteering program, it is easier to get employees’ involvement in the programs and make an impact. Device a communication strategy that includes company leaders. A mail or a message from a leader will motivate employees and trigger greater participation. Technology has been an enabler to a range of features that employees look for in their corporate programs. Without technology, it is difficult to keep up and track the volunteering efforts. Technology will intensify the volunteering experience and enhance the impact. It will further reduce the time spent on transactional tasks and general management. According to Deloitte’s “2017 Volunteerism Survey,” nearly 9 out of 10 (89%) believe that companies that sponsor volunteer activities offer a better overall working environment than those that do not. In fact, 70 percent of respondents say that volunteer activities are more likely to boost employee morale than company-sponsored happy hours, and 77% say, “Volunteering is essential to employee well-being.” In fact, volunteering also improves an employee’s emotional well-being. While workplace wellness providers are dominated by diet, exercise, and mindfulness programs, innovative companies are looking at more engaging solutions that seek to benefit not only their employees and bottom-line but also the world. According to a study published in the International Journal of Psychophysiology, people who spent their time to help others through community and organizational involvement had higher self-esteem, less depression and lower stress levels than those who didn’t. Employees who are driven to contribute to society don’t require an external stimulus. However, rewarding and recognizing their efforts will act as a hack to improve the current program. Recognizing the accomplishments of the employees' volunteering efforts will act as a catalyst to motivate other employees to participate in these events. In summary, employees' interest in volunteer programs is critical. Empower your employees by giving them choices, enhancing the volunteering experience, and offer assistance and support driven by the organization's leadership and you’ll begin to see more engagement with your employee volunteering programs. 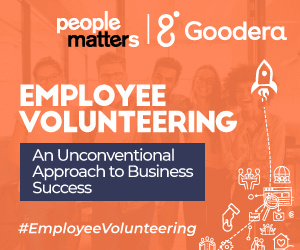 If you wish to get more insights on Employee Volunteering, follow #Employee Volunteering, a campaign by People Matters in association with Goodera and get access to feature articles, case studies, and expert interviews that will help you reflect on your employee volunteering practices. Is your organization volunteer ready?